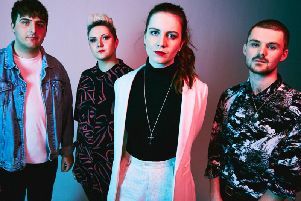 Nottingham rock act Heck are hitting the road for a UK tour next month, starting a hometown gig at the Rescue Rooms on March 11, coinciding with the release of their debut album. Previously known as Baby Godzilla, until a Japanese cinema giant won a legal battle to prevent them using that name, the newly re-named Heck returned with a new single, The Breakers last October. They will now finally release their delayed debut album, Instructions and are ready to pick up where they had to leave off for a time.